JUNE 23, 2012 —- Jerry Sandusky was a predator who recruited his victims through a charity he founded to help them. He used his access to Penn State facilities to impress and ultimately seduce them. And now he will likely spend the rest of his life in jail. That is as it should be. He was tried and convicted by a jury of his peers, many of whom had strong connections to Penn State. We hope and pray that this will lead to healing for the victims and their families and a greater awareness of this kind of hidden abuse wherever it occurs. Jerry Sandusky is one flawed man. Penn State is 90,000 current students, faculty and staff and over half a million alumni. We are proud of our school. We are proud of its outstanding contributions to society through education and research. And we are proud of its tradition of Success with Honor. Mistakes were made and it is our mission to correct them and to see that they are not repeated. 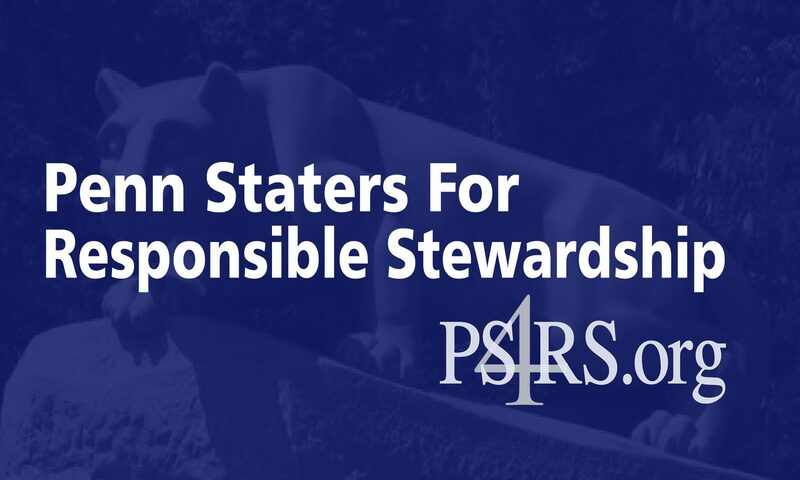 That is what it means to be Penn Staters for Responsible Stewardship. Before he died, Joe Paterno urged his family to pursue the truth while forcefully defending the honor and integrity of Penn State. We consider ourselves to be part of his extended family and that is what we intend to do.